Much different from this church that David and I visited last week-end when we were walking around Old Town. 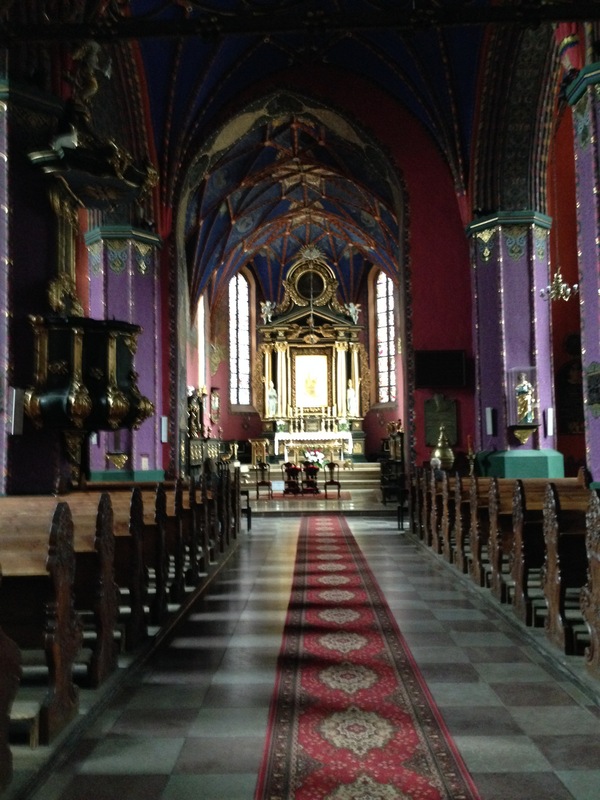 This is The Cathedral of Bydgoszcz — The Cathedral of St. Martin and St. Nicholas. 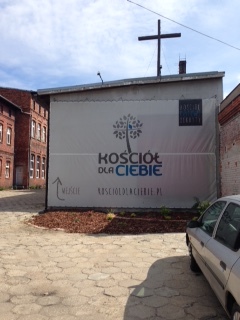 It is the oldest remaining church in Bydgoszcz and was declared to be the Cathedral of the Diocese of Bydgoszcz by Pope John Paul II in 2004. 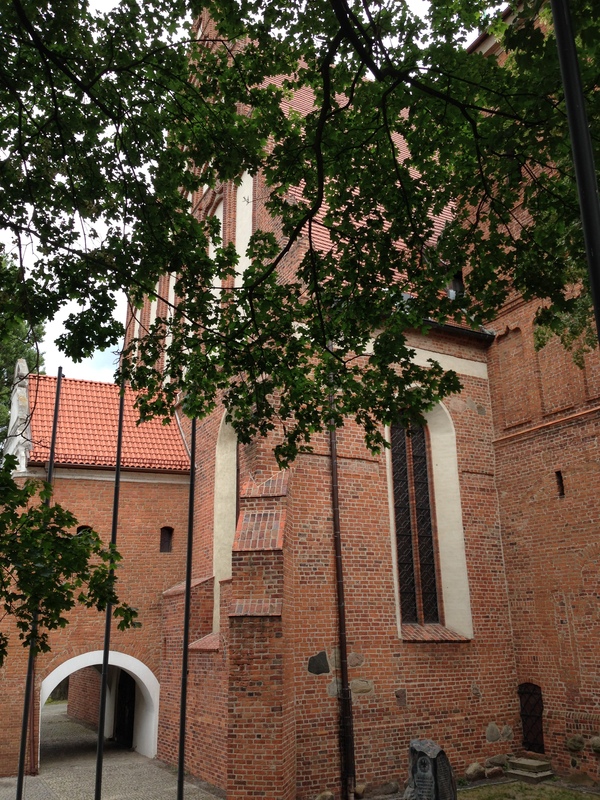 It’s a stately Gothic style brick church that was originally built between 1466-1502 to replace a wooden church building that was burned down by the Teutonic Knights. In the 16th and 17th centuries additions were constructed but by the 18th century is was starting to detiorate as it was used as a magazine by both the French and later the Russian armies. In the 1920’s the beautiful frescos were added in vivid colors of blue, purple and red. They are handpainted and these pictures don’t do them justice in portraying how beautiful they are to see in person. 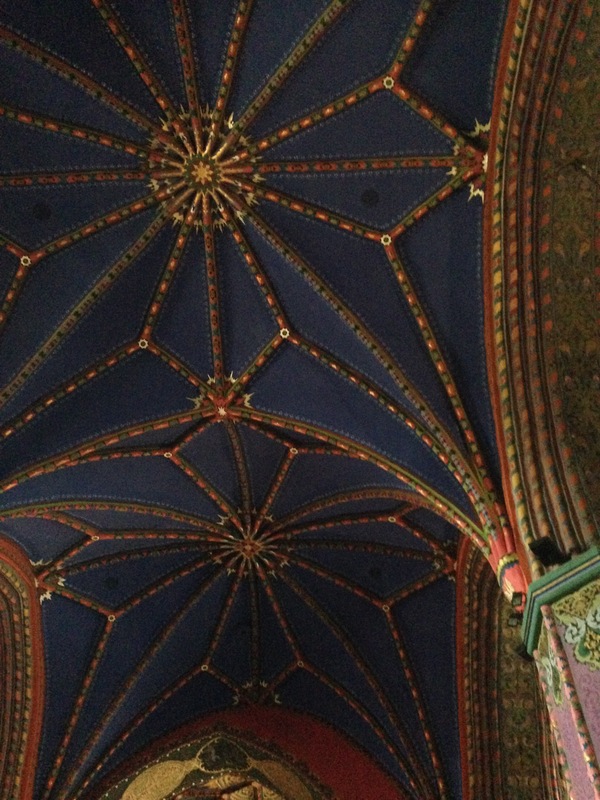 The picture below is as close up as I could get of the ceilings with the camera on my phone. The columns are also all handpainted and the lower right hand corner you can see a small glimpse of a close up shot….must have taken years to paint all the intricate details. 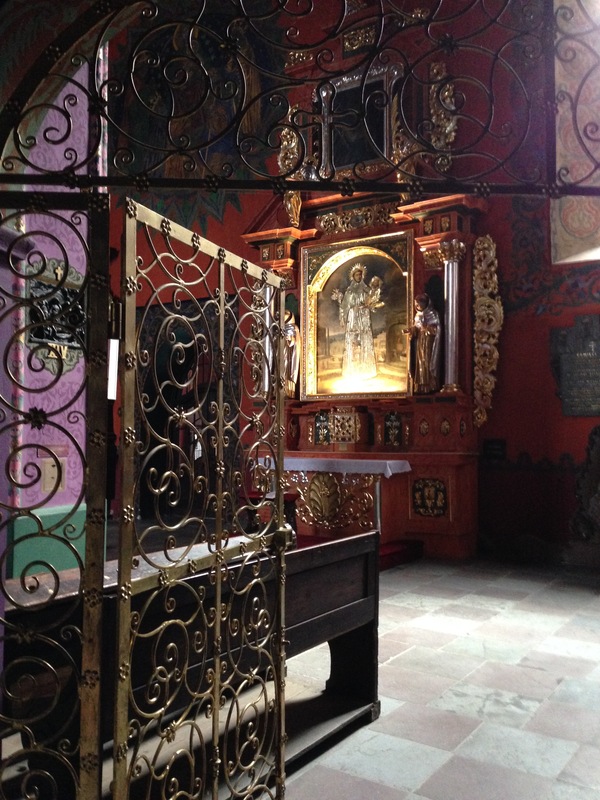 There are also intricate iron gates as you enter from the back that separate the entrance from the chapel area. We sat for awhile and just soaked it all in sitting on what would seem to be original pews and kneeling benches — very well worn from years of worship. That’s beautiful Pat! Let David know I said hello! I just talked to Charlotte to hear how she’s doing and all seems to be going well. She said VBS had about 97 children attend and this is Karen’s last year to run it.